We are an inclusive football club based in Redhill Surrey, seeking to grow and further develop football for all regardless of gender, age, ability or needs. 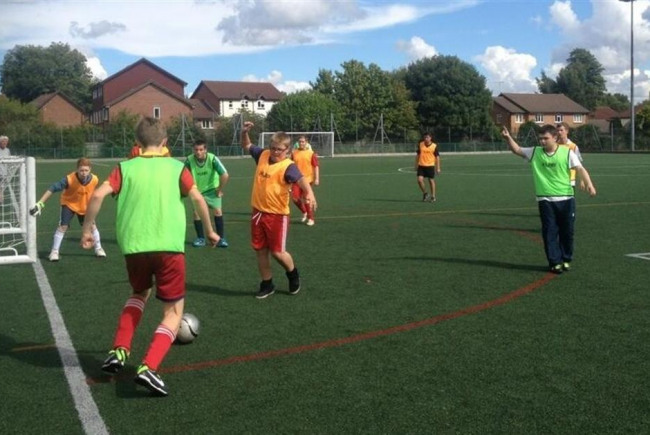 Battlebridge FC have been running for about 5 years, and are growing steadily from a handful of young disability players, into a fully inclusive club with players from age 4 to 44 playing in a variety of leagues. We do not have trials for our teams, as we aim to develop players using the skills they have, instead of focusing on what they aren't so good at. We are seeking funding to pay for our training venues so that we can keep our subs down to keep our club, and everything we offer, open to all, not just those who can afford it. We want to see our players given the best possible opportunities to develop to be everything they can be, and believe that through team sport, we can develop life and employability skills in young people who may otherwise not be given a chance to achieve their full potential. There are very limited opportunities for inclusive sport in our area, and those there are are full, with waiting lists. We aim to accept everyone who wants to join and to develop volunteers to coach and support our players without having to turn anyone away. We are a Charter Standard club, fully affiliated to via Surrey FA and we play in a pan-disability tournament once a month to allow our players to develop resilience and team playing skills. We are an inclusive football club, providing football for all ages, genders, abilities and needs in the Redhill area. We are a rapidly growing club, and are committed to continuing to nurture young people and adults who want to play football to become confident adults with the social and communication skills to be able to play a full part in society. We believe that playing team sports offers new challenges for young people who may otherwise not be included in society, and enhances employability skills. We do not have trials for any of our teams, and believe in opportunities for all. We take those who want to play football, and train them to do so to the best of their ability.